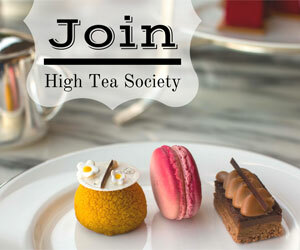 An elegant, Christmassy and ever-so-slightly tipsy afternoon tea was enjoyed in the heart of London, as High Tea Society lounged-about at the Conrad London St James. 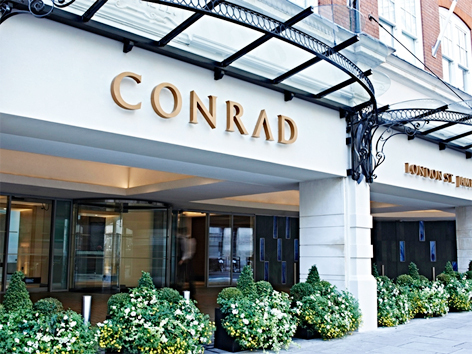 A short stroll from Parliament Square, in that corner of St James’s which remains wonderfully untrodden by tourist feet, the London Conrad St James (formerly the Intercontinental Westminster) is a small, luxury-leaning hotel in a superbly smart red-brick building. Elegantly decked-out throughout the various ground-floor reception areas, we were led to the comfortable lounge, a veritable rainbow of beige and pastel, and towards a low-set table – cake stand and Champagne glasses ready for action – and its two accompanying wingback chairs. 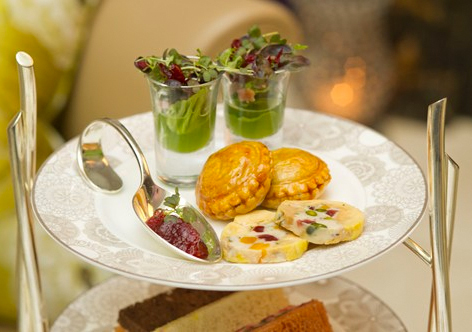 Over the next two hours we were given quite a treat, as the hotel’s Christmas afternoon tea was presented to us. To begin, the small-bite savouries. A shot of Brussel sprout mousse, turkey ballotine and venison bites. All were well-prepared and presented. The Christmas theme had been given a strong start. Sandwiches were traditional in their form – thin fingers without crust filled with a selection of salmon, gammon and beetroot. Whilst not pushing the boat out in terms of creativity, they could not be faulted in their quality and they certainly hit the mark on taste. Orange, cranberry and spiced scones were delivered and dispatched in no time – the lightness of the bake matched and even exceeded by the thick, artery-clogging clotted cream and the interesting and particularly successful blackberry curd. A wide selection of teas were made available – we ordered the 2nd flush Darjeeling and vanilla black – both served in tall, elegant pots. Owing to a mix-up we also received an Earl Gray and, as is always the case, the tea we hadn’t intended to order was the standout. The error with tea was handled with good humour and grace by the waiter. 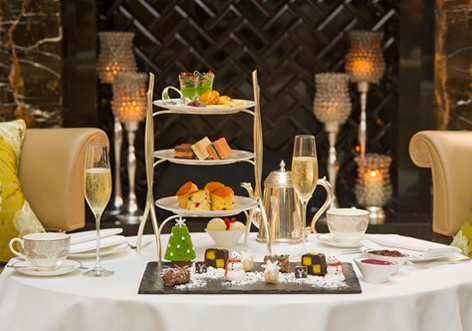 Perhaps I skip over all these elements quite quickly, but special attention should be focused on what makes this afternoon tea really shine – the ‘bottomless’ Laurent Perrier and rather sweet (literally and figuratively) Christmas slate of cake and other treats. Throughout the afternoon our glasses were never empty, the Champagne being brought around regularly and offered with no hesitation. This really did feel like a marked step-up from the standard single-glass of fizz, offered by many afternoon teas. And then the sweets – they looked too good to eat…but that didn’t stop us. 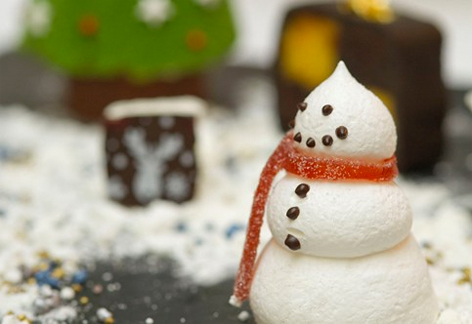 A chocolate orange Battenburg, boozy Yule log and meringue snowman set the scene but the real star was the winter berry Christmas tree, with a mousse perfectly sweet and yet still tart enough to make your face screw up ever so slightly on the first bite. Sweet/tart is a difficult feat to achieve – this took on that challenge and triumphed. I must put in a special, final word for the popping candy in the edible snow. What 30-something doesn’t like popping candy? This really is a try-it-before-it’s-over tea. With only a few weeks until Christmas you should get your booking in now. 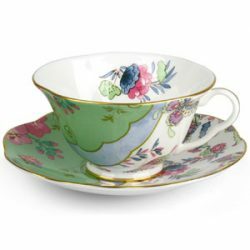 The tea only runs until 24 December. And at £45 for the bottomless Champagne option, it represents remarkably good value. On weekends there’s even the promise of a carol-singing choir. This is a special someone’s Christmas treat, waiting for you to book. £45 with Laurent Perrier Champagne; £37 without.